Every year we help make Christmas special in thousands of homes east of the Mississippi. We ship numerous containers of trees to central American countries. We farm over a thousand acres in Lunenburg County, Nova Scotia. 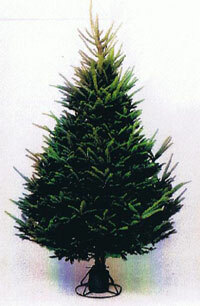 We grow only traditional Balsam Fir Christmas trees. Each tree is carefully nurtured and pruned as it grows for shape and density. Over the years we have seen many small customers grow into major retailers. We continue to offer minimum lots of 100 trees our large customers order thousands. We understand successful Christmas tree retailing. We deliver only top quality trees, on time...every time. If you are looking for an established, reliable international supplier and a covenient way to order - you've found us!